The success of your garden depends on its health. And a healthy garden requires worms. Feeding them well can keep the worms—and your soil—healthy. But what's the best worm food for them? It's a misconception that red wigglers will eat just about any food scraps you choose to give to them. Like any creature, they seem to have their preferences, too. There are certain foods that they prefer over others. 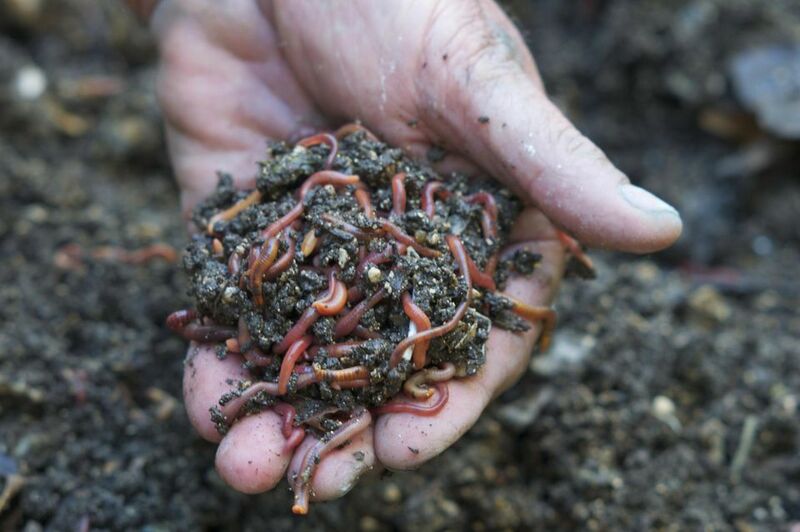 If you use a worm bin or are composting or growing a vegetable garden, it's good to know what types of worm foods your worms will like. One thing you'll note about the worm foods on this list is that most are moist, soft, and/or low in acidity. As a general rule, you should feed worms a mix of equal parts "brown" and "green" foods. Browns are high in carbon and carbohydrates, while greens add a lot of nitrogen and protein to the soil. Greens include green vegetables and other natural foods—melon rinds, lettuce, carrots, fruit peels, etc.—and they don't have to be green. Browns may be food or non-food items, such as coffee grounds, paper, egg cartons, or dry leaves. If desired, you can grind up the food for your worms, in a food processor or manually. This blends the foods scraps nicely and makes them easier to eat. Just as there are good foods for worms, there are also foods that worms are not so crazy about. And in the case of meats, fats, and grease, these foods attract insects and can stink up a worm bin or garden in short order. Just Try It—You Might Like It! As with children, there's a lot you can learn about what foods your worms prefer by seeing what's left on their plates. Pay attention to what your worms eat—and what foods they refuse to eat. Check and see what food is gone after a few days so you can get an idea of what they like. If too much food is left over after a few days, the worms may not be liking it, and you can try to find a better worm food. If you're using a bin, make sure to cover the food with bedding to help minimize attention from flies or other critters and to reduce odors. Limiting odors is key if your bin is indoors. Remember, worms can eat up to half their weight in food each day if they are in a fully established vermicomposter. By keeping these tips in mind, you'll have a healthy, happy worm bin and better soil for a better garden.